This pretty much tells you everything you need to know about the modern Democratic Party. 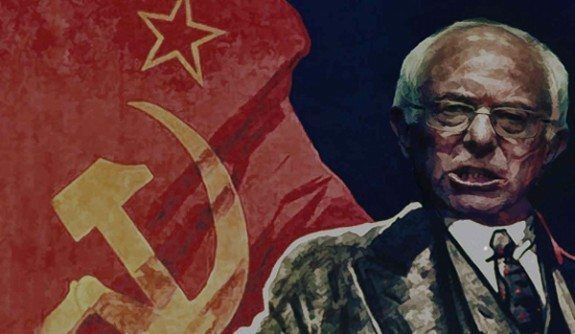 On Monday, blogger Rebel Pundit spotted flags of the former Soviet Union flying proudly at a march held in Philadelphia for socialist Bernie Sanders. Of course it’s no secret that Communists and Democrats have the same goals, which include the destruction of the American Republic. Nevertheless, it’s still a bit of a shock to see this connection so blatantly shoved in our faces.